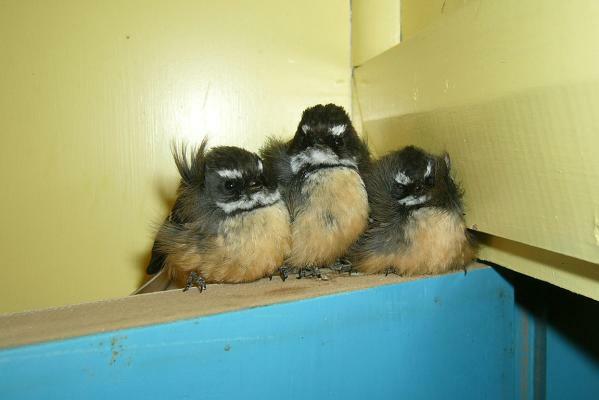 Desperately cold wild fantails have made a nest of a South Canterbury home as the polar storm sweeping the country takes a huge toll on our birdlife. Experts expect millions of birds to die as a result of the polar blast covering the country. For Doug Sail in Hunter, 40 kilometres south of Timaru, the warmth of his dryer drew in three frozen fantails and he unwittingly saved their lives. “I noticed them flying around the back door trying to get in. Occasionally they tried to fly in through the window and hit the glass. He said the chilly birds made themselves quite at home and remained for about five hours. They were so determined to stay that when he shut the door to get them out, the birds simply found another way in. As the creatures huddled together for warmth, Doug and his wife Emily Gilbert took photos and videos. “It’s something I’ve never seen before. I was surprised at how tame they were.